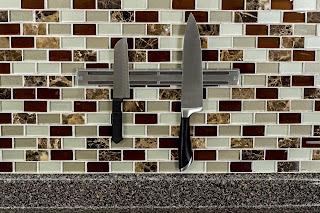 MarksvilleandMe: Where do you store your extra knives? Where do you store your extra knives? 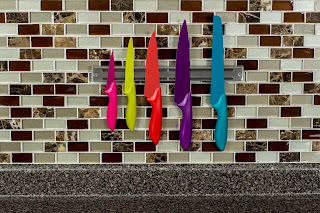 Personally I have always wanted a magnetic knife rack, although I love my knife block we have more knives then what can fit in it so having somewhere extra to store them is nice. This fit perfectly into the pegboard siding of our kitchen island. If you don't want to use this for knives you can also attach it to the bottom of a cabinet and have little glass baby food jars having from their tops from it for storage. Didn't try it on Mason Jars but that might work too. Great for organization, looks fantastic, and got me thinking about other ways to use this magnetic strip around the house. You can find the magnetic knife holder on Amazon. What Jabowd has to say about their product. Stainless steel magnetic knife holder. 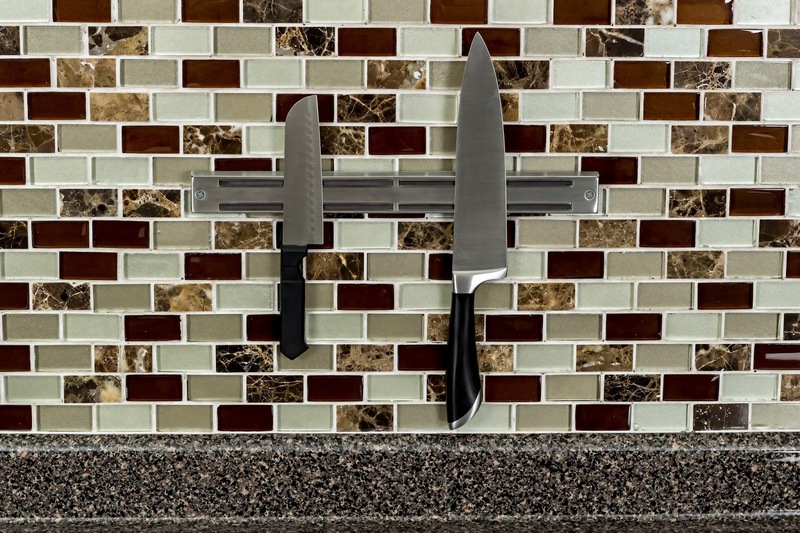 Durable extra strong magnets will keep your kitchen knives in place and prevent knives from falling. 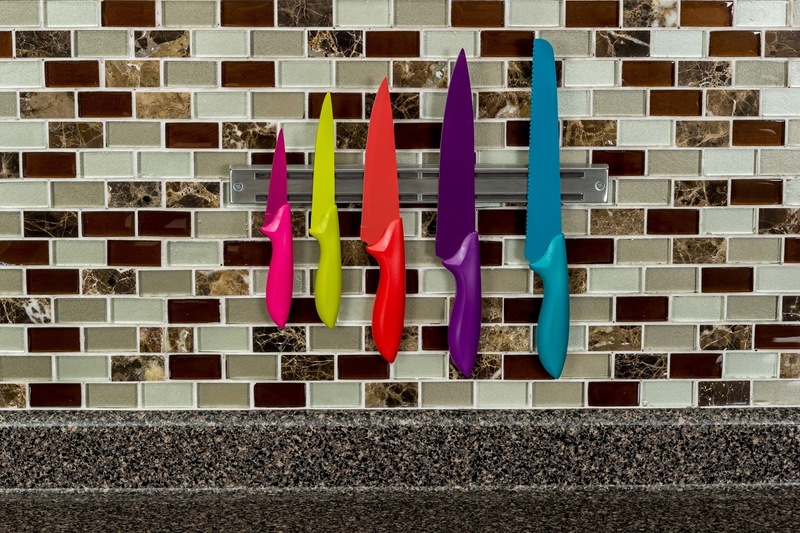 This stainless steel magnetic knife rack offer a sleek low-profile solution so you can conveniently store and proudly display your best kitchen knives. Detailed instruction manual provided with detailed instructions and includes simple hardware with stainless steel screws that perfectly blend in with with magnetic strip. You can attach to your kitchen walls with ease and all hardware is easy to use. This will help you clear out your drawers and declutter your countertops and at the same time add a modern design approach to proudly display your kitchen cutlery. Disclosure: MarksvilleandMe received one or more of the products mentioned above as part of a promotion with Tomoson and Jabowd. Regardless, MarksvilleandMe only recommends products or services we use personally and believe will be good for our readers. Some of the links in the article may be “affiliate links.” This means if you click on the link and purchase the item, I will receive compensation. If you would like MarksvilleandMe to review a product or service please contact us at marksvilleandme@gmail.com.